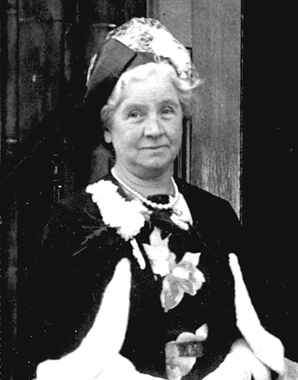 Birth*: Helen Cameron Pringle Vallance was born circa 1895. She was the daughter of Joseph Vallance and Agnes McWilliam. (Bride) Marriage*: Helen Cameron Pringle Vallance married Albert Edward Nicolson, son of Alfred Henry Nicolson and Catherine Reilly, on 4 August 1923 at The Manse, Carmunock, Lanarkshire, Scotland; After publication of notice according to the forms of the established Church of Scotland; Albert Edward Nicolson, clerk (Ministry of Labour) bachelor, 26, 7 Sommerville Drive, Glasgow; father Alfred Henry Nicolson, butcher; mother Catherine Nicolson ms Riley; Helen Cameron Pringle Vallance, teacher of education, spinster, 29, 17 Brownlie Street, Glasgow; father Joseph Vallance, clothier; mother Agnes Vallance ms McWilliam; signed John Smart minister of Curmmunock; signed Hugh Tulloch Jr, Glenoykel, Clarkston; signed Agnes Josephine Vallance, 13 Randolf Place, Mount Florida. [S50] Interview with General Record Office for Scotland (Edinburgh, Scotland). General Record Office of Scotland (New Register House, Edinburgh, Scotland), 523/00 0074 [Nov 2010]. Source Information: Ancestry.com. Perth, Scotland Newspaper Index Cards, 1809-1990 [database on-line]. Provo, UT, USA: Ancestry.com Operations Inc, 2007.